A luxurious tub with powerful jets and a sleek design mean very little for your hot tub if the water isn’t clean and inviting. That is why Dimension One carries its innovative features over into water care. The water is the heart of the hot tub and you want your water to look and feel clean every time you enter your hot tub. 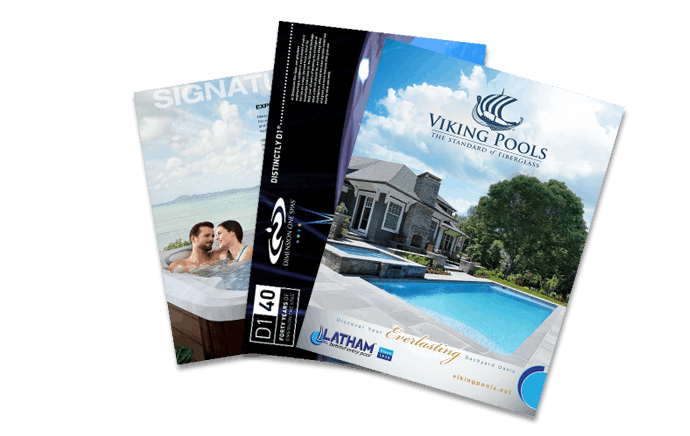 Dimension One delivers more than any other company when it comes to in-water features. The UltraPure Plus water management system is the most advanced system in the industry. The system has the jets and pumps working together so you are never sacrificing jet performance while cleaning. The patented system introduces an ultraviolet light and ozone combination for an unstoppable performance that neutralizes impurities. This top of the line system is available in the Bay collection. UltraPure is more than an ozone generator, it is a fully engineered water management system. It features a dedicated filtration and water purification system that can filter nearly 10,000 gallons of water a day. Once it filters the water it vigorously mixes ozone into the water three times so that ozone comes in contact with every drop of water. The ozone burns up the bacteria to make your water totally clean and crystal clear. UltraPURE is also energy efficient and 84 percent of the energy used is returned to the spa water in the form of heat. The UltraPURE system does all of this silently, so your relaxation is not interrupted. D1s new water purification system, the ClearZone PRO, creates cleaner water than any other system available. It uses UV generated ozone to fight and oxidize water impurities and it is 47 percent more energy efficient than the original ClearZone system. ClearZone PRO uses injectors that infuse the water with ozone. This means that less ozone is escaping from the water, leaving your water cleaner. ClearZone is the purification system that is found in the @home collection. It too uses UV generated ozone to kill and oxidize water impurities. ClearZone circulates the water 2.5 times more per day than the filtration system on an average spa. The silent circulation pump is continuously running so your water is always clean and fresh, even while you are using it. ClearZone is a more stable system that requires less chlorine and is easier to maintain. It is an all-around win. The Vision Cartridge is a natural and effective way to reduce the use of chemically based water sanitation systems. When the Vision cartridge is used with the D1 Ozone system it kills 99.6 percent of impurities on contact, leaving you with cleaner, healthier, and softer water. One Vision Cartridge can last up to 6 months and reduces the need for extra chemicals by 60 percent. It is a must have. If you are investing in a hot tub, you want to make sure that you are getting the cleanest, clearest, healthiest water in your spa. A Dimension One hot tub will deliver just that. 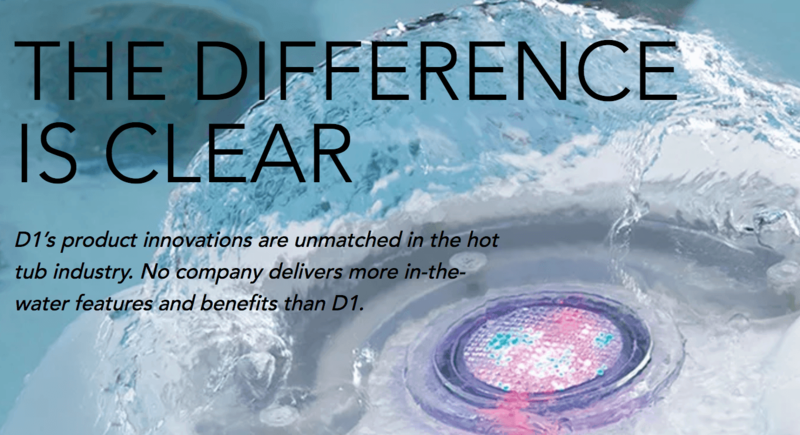 Our staff at Aqua Pools is ready and waiting to show you the D1 difference today.